Recently I taught a class on how to make rolled fondant for cakes and I wanted to share the recipes here on the blog for those who were unable to attend the class. It is really not very difficult to make and tastes a ton better than the stuff in a box, plus it costs a heck-of-a-lot less! We made two varieties, one traditional and one using marshmallows. Both were delicious! My favorite for ease and flavor was by and far the one based on marshmallows. I think a lot of people will be surprised to see how inexpensive it is to make. For around $1 a lb to make compared to up to $10 a pound pre-made and packaged. That adds up quickly when you're frosting a large cake! 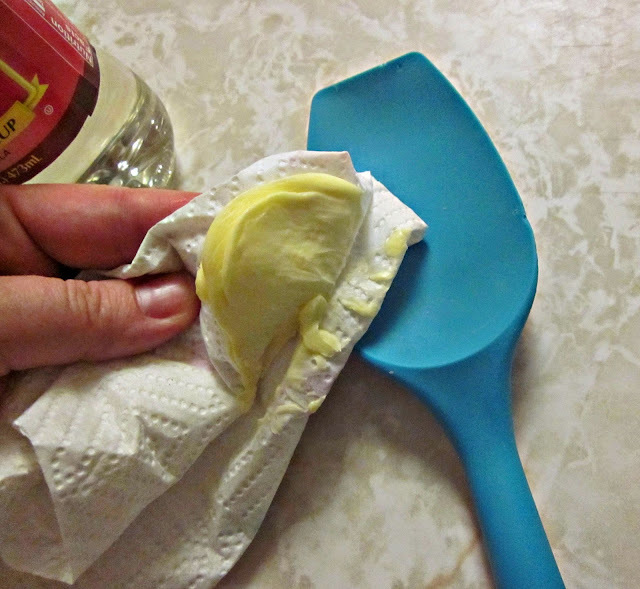 Directions: Grease a large wooden spoon or silicon spatula with oil. 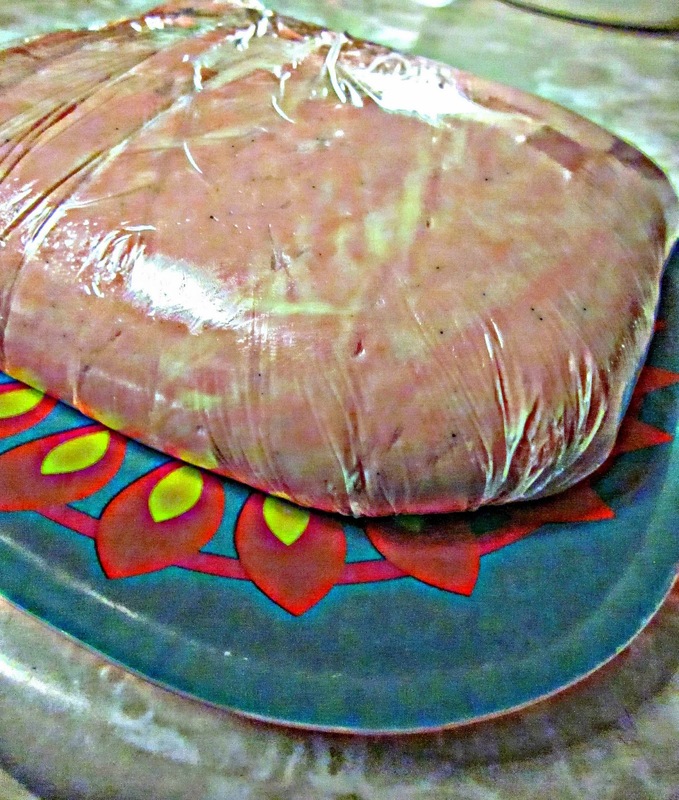 Transfer to a plastic bag and cover tightly until ready to use, allowing to rest at least 5 hours. 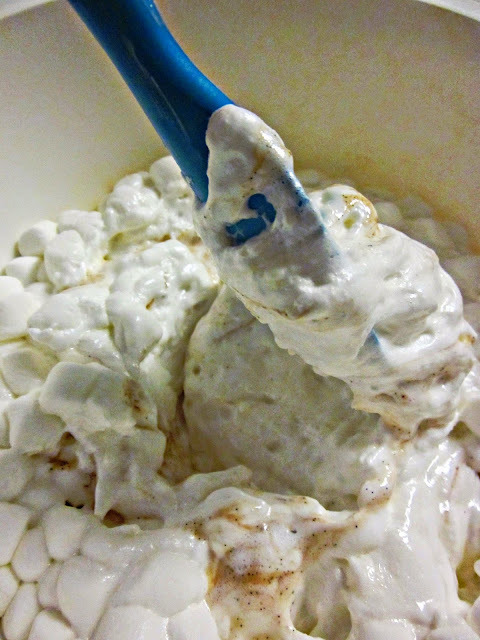 Melt marshmallow in microwave for about 2 minutes in a large glass bowl. Yes. I used a microwave. It is just fast and easy. If you want to melt it on the stove, you can do that as well, but it will take about 5 minutes and you'll need to stir it constantly. 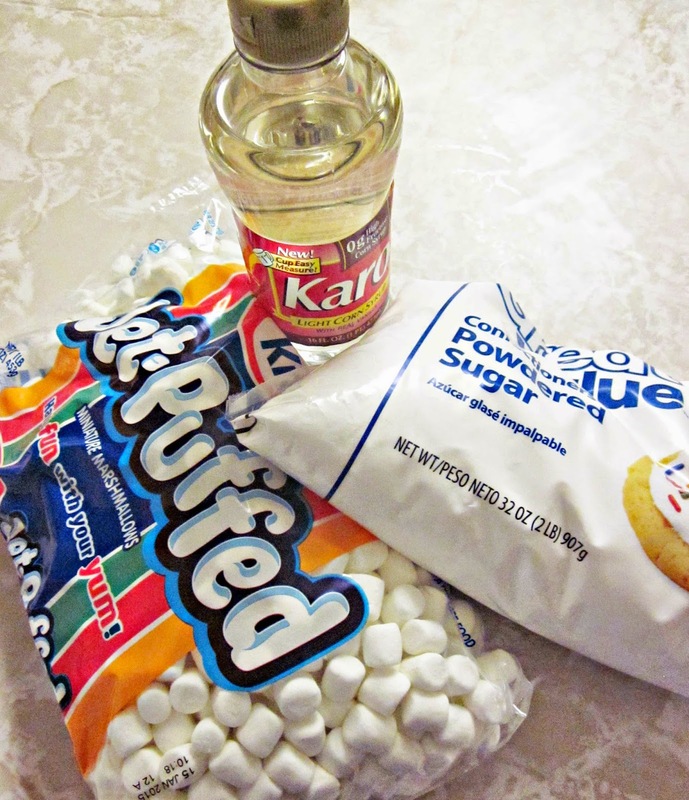 Add the corn syrup and flavor along with a gradual addition of the sugar, stirring until the sugar is assimilated. When dough becomes too stiff to knead by spoon, transfer to a well oiled counter top and knead 5 minutes until smooth. I had to add a little more oil to the surface about half way through kneading. Some folks have been saying that this can be done by machine, but I've not found a machine strong enough to handle it for home use. The larger commercial bakery mixer will work if you have access to them. Lightly oil the outside surface of the fondant so it doesn't stick. Transfer to a plastic bag and cover tightly until ready to use, allowing to rest at least 5 hours. 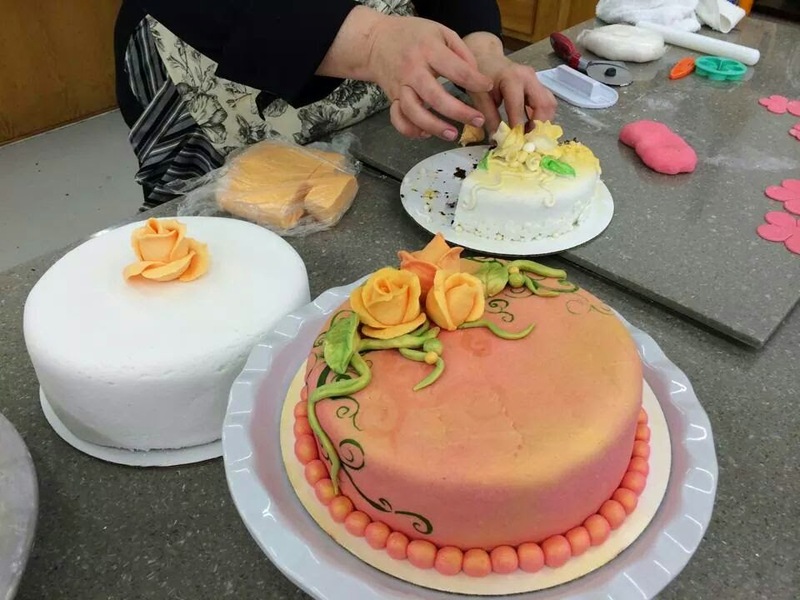 To cover a cake with fondant: Dust a clean pastry cloth, or a smooth, clean surface, with cornstarch and roll the fondant with a rolling pin until it is approximately 1/4 inch thick. Make sure that the fondant is large enough to fit over the top and sides of the cake. Slide both hands under the fondant and carefully center it on top of a cake that has been freshly iced with butter-cream. (The icing makes the fondant adhere to the cake.) Dust your hands with cornstarch and smooth the fondant, starting at the top and working down the sides until the entire surface is even and flat. Cut off the excess icing around the bottom of the cake with a pizza cutter or sharp knife. Decorate the cake with butter-cream or royal icing. 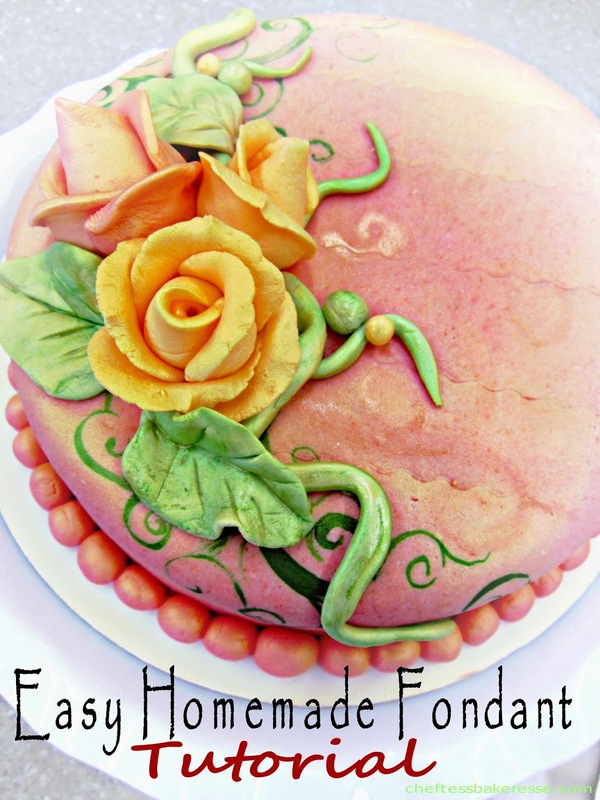 This fondant keeps a cake fresh for two days at room temperature. 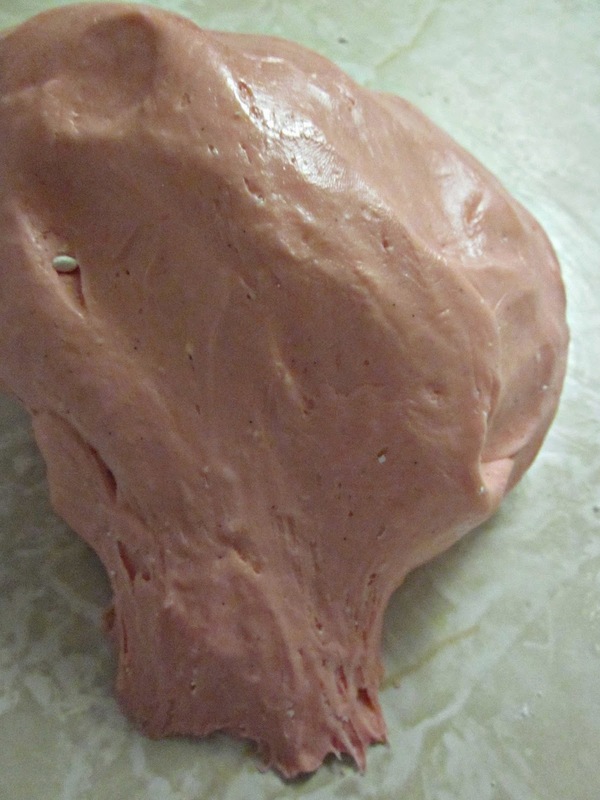 Do not refrigerate a cake with fondant icing. 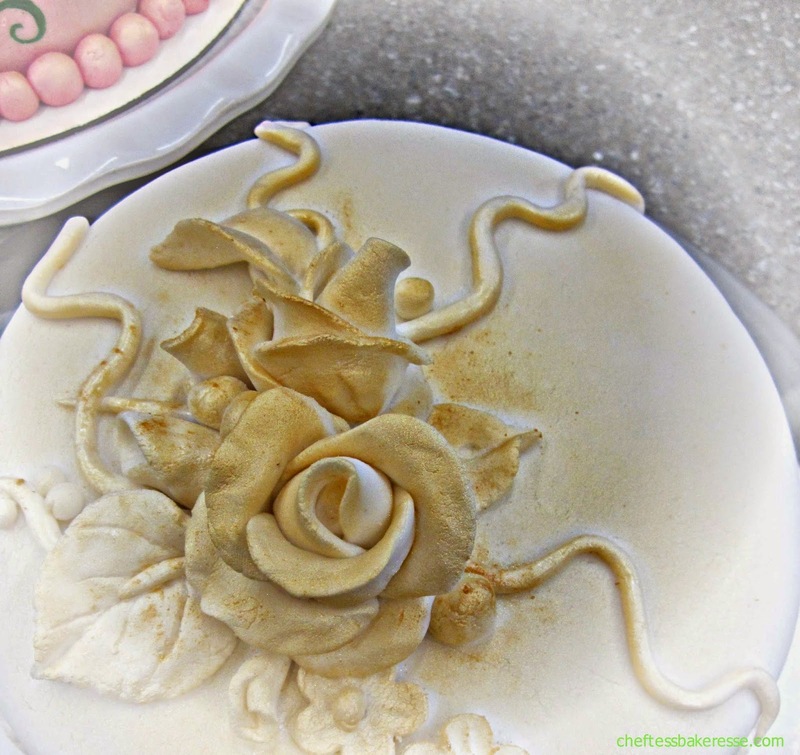 Want to see how to make these fabulous roses? The next recipe is the more traditional fondant. It has some specialty ingredients like the vegetable glycerin that I had to find at a cake decorating store. You may be able to find it online also. Directions: In a large bowl (do not use metal), sift the sugar and make a well in the center. In a small saucepan, add the water and sprinkle the gelatin on top to soften for about 5 minutes. Begin to heat the gelatin and stir until the gelatin is dissolved and clear. Do not boil. Turn off the heat and add the glucose and glycerine, stirring until well blended. Add the flavoring. Pour into the well of sugar, and mix until all of the sugar is blended. Use hands to knead icing until it becomes stiff. 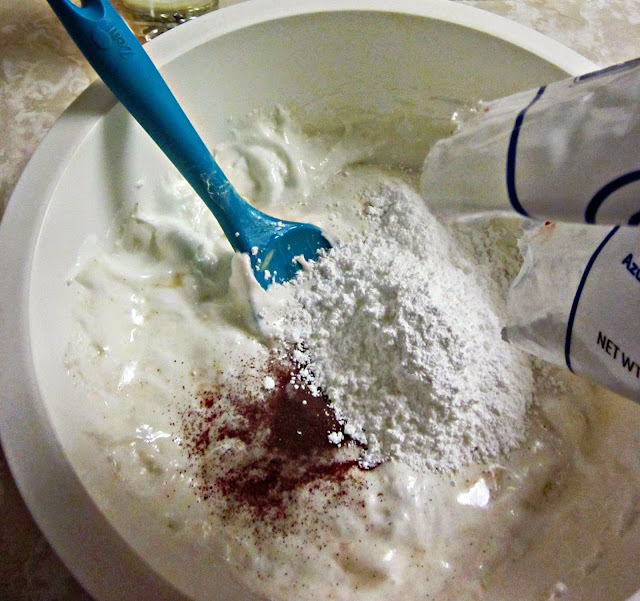 Add small amounts of confectioner's sugar if the mixture is sticky. 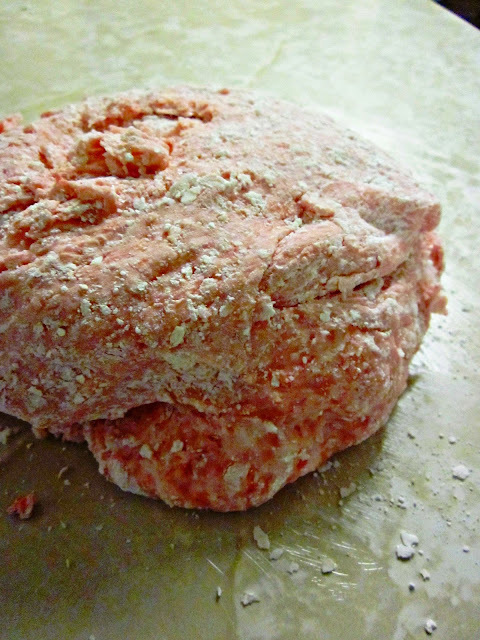 Form the mixture into a ball and wrap tightly in plastic wrap. Place in an airtight container. This icing works best if allowed to rest at room temperature for about eight hours before using, particularly if the weather is humid. Do not refrigerate. Thanks so much for the great fondant recipe!!! It tastes TOO GOOD!! I've never tasted good fondant before. I am making a Minecraft creeper for my son's party tonight and this is awesome for it as a base coat and then I am using Marzipan for all the squares that make the face. 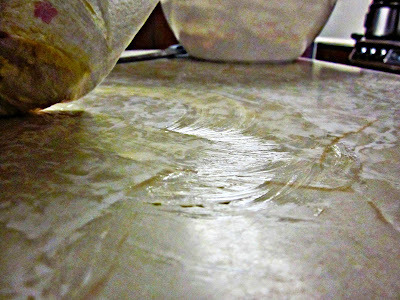 (your recipe of course) I was able to use my Kitchenaide Professional 600 with the dough hook for most of the kneading. I didn't get enough marshmallows- didn't read the recipe good enough- so I had some marshmallow cream which I used for the last 6 ounces. It worked great! Do you think it would work for all of it so you don't have to melt the marshmallows? 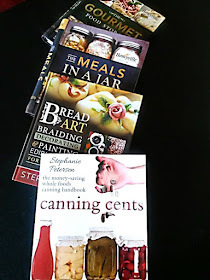 The beauty of the meals in a jar is that you can for sure control the sodium. Xoxo!